Today, in our continuing series of alternative boat ownership options, we are looking at fractional boat ownership, in which a bunch of people get together to buy a boat and each owns an equal share of it. This differs from the fractional membership programs we looked at last week in which only one person owns the boat and other people are members - with no ownership rights. Our business model is not to be confused with any of the various clubs, as fractional ownership is not renting or leasing, but as the name implies, it is a specific share of a specific boat. Instead of owning a boat alone and dealing with all the associated hassles, fractional ownership is basically a managed partnership, usually handled by a professional management company on behalf of the partners. Indeed, fractional ownership programs are easier to find for yachts and megayachts than they are for boats under 40 feet long. Companies such as Fort Lauderdale-based Monocle and London-based YachtPlus, as well as manufacturers such as Beneteau and Sunseeker offer fractional ownership programs. 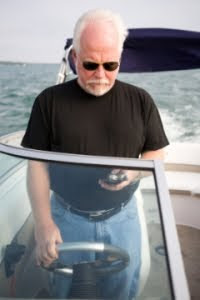 Maybe Alan and Rick are onto something and we’ll soon see fractional ownership opportunities on boats that don’t require a crew bigger than your family to operate them. We're looking forward to any model of boat ownership that helps more people get into boating. Please share your ideas and thoughts on this business model below. Even in these tough economic times, cash-strapped but dedicated boaters are still getting out on the water. They're just being more creative about it. 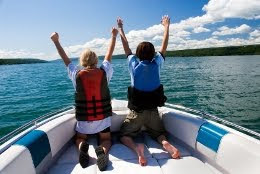 One of the obvious ways to cut down on the costs of boating is to share a boat with one or more people, and many variations of this concept have sprung up over the years. 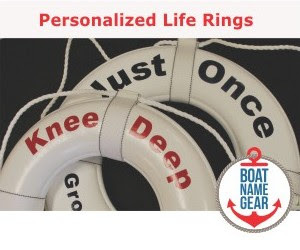 Among the many options is renting a boat (see: Renting a boat instead of trailering and Renting a boat just got easier), shared or fractional ownership (we will review in a future post), and fractional membership programs (this post.) We spoke with several experts in this growing industry to try to learn more about it and help you determine if one of these options might be right for you. 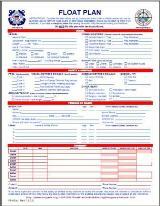 In general, fractional membership usually starts with one person purchasing a boat. 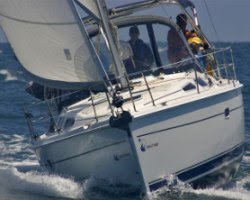 Then, with the help of a reputable company such as WindPath or SailTime, up to seven additional people become fractional members – meaning that use of the boat is shared by eight people. As a member, you usually don’t have any long-term commitment and you don't own anything; you simply pay a monthly fee and get to use a boat within your allotted time. Chris Tucker, owner of the SailTime Channel Islands franchise in Southern California, told us that the big benefit of membership programs over traditional ownership is “both cost and time. No slip fees, bank notes, insurance or maintenance costs.” And he points out that members get to use the boat much more than the average 2-3 times per month that most traditional boat owners actually do. 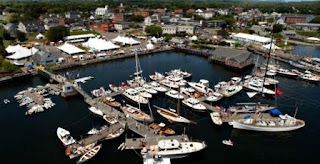 WindPath Fractional Yachting was founded in our home state of Connecticut and is celebrating its fifth anniversary this year with locations all over the US. Ian Treibick, founder and president of WindPath, told us "WindPath puts the cork into ‘the hole in the water into which you throw money’ and makes experiencing boating affordable, simple, and fun for the whole family." We couldn't agree more with this benefit of membership plans, especially when we realize how much our own boats actually get used each year. Despite their breezy names, SailTime and WindPath are not just for sailors. Both companies also offer powerboat options to their members. One additional benefit of membership plans is that they may be a type of "gateway drug" into traditional boat ownership. 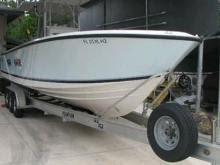 SailTime’s Tucker stated, "Across the country, 30% of members go on to buy their own boat in a year or two." The busiest boating times are also the busiest times for rescue crews, and this particular August weekend was no exception. Five people ended up in the water Saturday night near Head Harbour Passage, Maine, when their boat collided with a whale, shot straight up in the air, and sank. We found this local blog to have the best account of the accident, which occurred near the Canadian border. No one was injured as private boats quickly scooped up the passengers of the capsized boat. Two boaters were sitting on a navigation marker for several hours before being rescued Sunday morning after a late night outing at The Jacksonville Landing in Florida. The 17 foot Sea Ray they were in crashed into something around 2:30 in the morning, and the couple made their way to the buoy… by foot. The news articles about this incident point out that the couple’s SOS signals went unanswered until morning, but is it possible that passing boaters did not take the calls for help seriously because they were coming from land? Just sayin'. Lake Waubesa, Wisconsin, saw some excitement Saturday night that resulted in the arrest of a 21 year old man and injuries to the two men on his boat, according to a wire report we found on WCCO.com. The suspect’s two passengers were injured after the boat’s operator, who was later charged with “causing great bodily harm by intoxicated use of a boat”, made a sharp turn which resulted in them being thrown overboard and colliding with the boat’s propeller. The extent of the injuries were not known at the time of this post, but they did not appear to be fatal. There were many more exciting mishaps and rescues over the weekend, but that’s enough excitement for us for one post. BTW, if you liked this tune but never heard of Modest Mouse, you can find them currently on tour in the UK. Check their website for tour dates, see more videos, and buy t-shirts, art and more at ModestMouse.com. Looking for something to do this weekend that involves boating, but can't get out on the water? There are several boat shows going on around the US, but they are in places like Michigan City, Indiana, and Port of Toledo, Oregon... If you're not from around there, some of these towns might sound like they are in the wrong states. So if you are heading out to one of these events, make sure you check our calendar of boat shows twice to make sure you are in the right place. We have heard a lot of good things about this big show, which is in Michigan City, INDIANA, only an hour east of Chicago. One reader told us, "I have attended the Michigan City show just about every year for the past 15 years. And while I've only owned 3 boats with none larger than my current 20' Four Winns, it's nice to walk the docks and dream about the boat that will be part of my future. 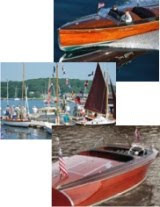 :)"
There are several other smaller boat shows around the country, including a few antique boat shows featuring those classic woodies on the water, in upstate New York, as well as in Toledo, Oregon and Raleigh, North Carolina. While these shows are not as large as others, they can often be even more fun with lots of activities for the whole family. If you bet that you'd go to the Georgian Boat and Sportsmen's Show at Georgian Downs Racetrack in Ontario this weekend, you lost. The show organizers were "forced to cancel" a couple of weeks ago because they stated that "poor attendance at several other shows in this region are putting a damper on enthusiasm." For details about this weekend's boat shows, visit our calendar of boat shows. This week's choice for Sea Song of the Week was so obvious it's hard to believe we never featured any version of it here over the past several years. Once we decided to choose Beyond the Sea, we faced an even harder decision - which version to use... Bobby Darin, Bobby Caldwell, Kevin Spacey and Robbie Williams are just a few of the crooners who belted out this ballad over the years. After much thought and some feedback on Twitter, we decided to go with a version of Beyond the Sea by the British singer Robbie Williams. After all, the chap has been in the news quite a bit after getting married last week, and he definitely belts the heck out of this song. For our fellow Americans who are not as aware of Robbie Williams as our friends across the pond are, have a look at his official website - www.robbiewilliams.com - and his wikipedia writeup. The Idaho Department of Parks and Recreation just announced that they will lend life jackets to boaters at selected boat launches around the state. The life jackets will be free to use for both kids and adults, but must be returned the same day to the same location. Boaters who would otherwise be operating their boat illegally without the proper life jackets onboard will get a reprieve, but surely will also get a little education from the park rangers issuing the jackets. This reminded us of the fantastic program that the BoatU.S. Foundation has been running for years, which includes over 500 locations around the country that will lend out kids’ life jackets for the day or weekend to families who have a temporary need for one. Alaska, California and other states have similar programs, and Alberta, Canada just announced a trial program as well. A common theme in our boating safety tips, life jackets are one of the most essential ingredients to a safe day on the water. Hopefully programs like this will help more boaters get with the program when it comes to life jackets. Let us know if there's a program like this near you, or if you would take advantage of such a program. In an effort to improve boating safety on the east coast, the United States Coast Guard began Operation Bow Rider last week. Their goal is to increase awareness of the dangers associated with bow riding. "Bow riding" refers to the unsafe practice of passengers remaining on the bow of a recreational vessel while it is making way. Wearing a life jacket does not make bow riding much safer, as the danger lies in being hit by both the boat and propeller after falling off the bow unexpectedly. Ouch. 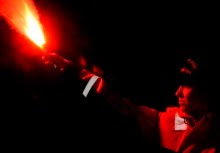 Apparently this is more gruesomely common than you might think… In the Coast Guard's 5th District, where Operation Bow Rider has begun, from North Carolina to mid New Jersey, 20% of the boating fatalities two years ago were directly linked to bow riding. Perhaps we should say "Antique" or "Classic" instead of "Old", but no matter what you call them, boats of another era will be on display at two different shows this weekend. In Wisconsin this weekend? 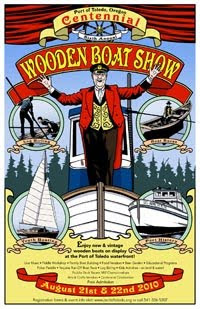 Check out the Door County 20th Annual Classic & Wooden Boat Show in Sturgeon Bay. 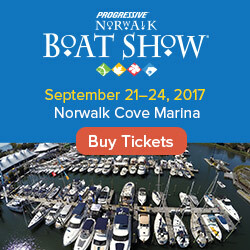 The actual boat show is Saturday and Sunday, but they have other events going on leading up to it. If you are in Traverse City, Michigan, then check out the 23rd Annual Classic Boats on the Boardwalk - Saturday only. If OLD boats aren't your style, you can attend a modern boat show in Florida this weekend. The Orlando Hot Summer Boat Show is Friday through Sunday at the Orange County Convention Center. For more info about all of this weekend's boat shows, including directions and links to each show's website, visit our boat show calendar. It's shark week on the Discovery Channel, there are an unusual amount of great whites along the coast of Cape Cod, and Jimmy Buffett is in the middle of his summer tour. 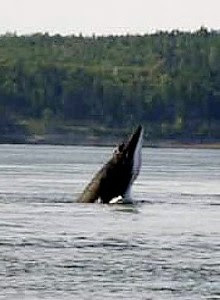 But instead of saying "fins up" this week, a new Coast Guard report has us saying "deaths up". The United States Coast Guard Office of Auxiliary and Boating Safety released statistics from the 2009 boating season, and the report shows that boating deaths were up by more than 3% over the previous year. And as scary as sharks are to many boaters, it's the more mundane things like not wearing a life jacket that kill the most boaters according to the USCG. In fact, Rear Adm. Kevin Cook, the Coast Guard's director of prevention policy, sums up why boaters should always wear a life jacket: "Nearly 75 percent of the 736 people who died in boating accidents in 2009 drowned, and 84 percent of those victims reportedly were not wearing a life jacket." This is why "wear a life jacket" is the number one tip on the FirstBoat boating safety page. 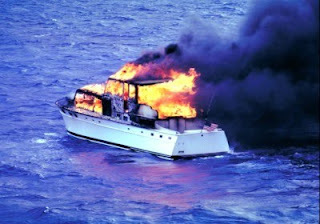 Alan Sorum has a nice summary of the report on his boating blog so you don't have download a 78 page PDF from the Coast Guard site (the full PDF is available here). If you're still not interested in wearing a life jacket while boating after reading this report, maybe you should just stay home and watch shark week. If you've read our posts about rescues over the past few weeks, you know that many boating mishaps are caused by boats running aground. Even a former American President recently ran aground in familiar waters when he unexpectedly got caught in rough seas. Running aground is all too common, but can often be avoided or remedied if you are armed with the right knowledge. And that knowledge was provided just last week by About.com Powerboating guide Ericka Watson in her latest edition of Boat Tips, which explains what to do if your boat runs aground - and how to prevent it from happening in the first place.